There may be another reason the old adage “eat your vegetables” is so popular, as researchers have discovered that a compound in broccoli might help treat Type 2 diabetes symptoms. A recent study publishing in Science Translational Medicine by lead author Dr. Anders Rosengren of the University of Gothenburg in Sweden shared how sulforaphane, an antioxidant discovered in broccoli, could become part of the treatment plan for Type 2 diabetics in the future. Sulforaphane has shown to decrease exaggerated glucose production from someone’s liver, and the substance has since been tested in cells, mice and also humans. While many foods have been believed to help with certain diseases, few have investigational studies behind them to prove or disprove the theory. In this recent study, a large concentrate of broccoli extract was given to the test subject. 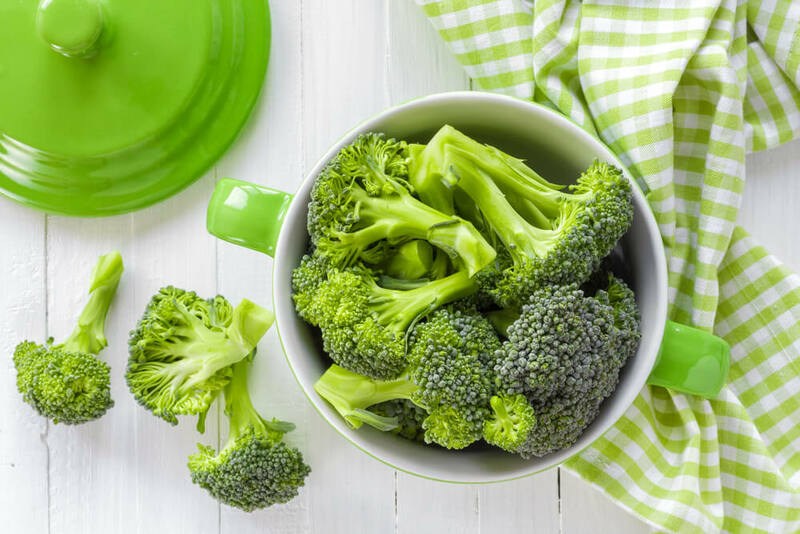 It was necessary to give this amount through an extract as it is nearly impossible to consume the amount of broccoli needed to reap the benefits – 5 kg per day. In this recent study, researchers and physicians gave the broccoli extract to patients, measuring their glucose before the study began and up to 12 weeks of being on the extract. In just 12 weeks of treatments, the sulforaphane showed to significantly improve patients’ fasting blood glucose and A1C in those who had dysregulated Type 2 diabetes and were overweight. While this is incredible Type 2 diabetes treatment news, more tests are needed before the extract is officially recommended to patients. To help determine if sulforaphane might work, researchers explored gene-expression data from 50 genes that were somehow involved in the liver producing too much glucose in Type 2 diabetes patients. Once these 50 genes were discovered, they tested almost 4,000 compounds to see which worked the best, with broccoli extract being the top contender. Eventually this potential Type 2 diabetes treatment was tested in mice and then in a double-blind trial. Each person in the study was already taking metformin, and was either given placebo or broccoli extract for 3 months. The most common side effects in those who were given the sulforaphane were gas and GI upset, but these symptoms decreased after the first few days on the extract. Researchers of the study are now planning the test the broccoli extract on patients who have been diagnosed with prediabetes, to see if they can prevent diabetes from forming. The team is also working with Lantmannen, a farming organization located in Sweden, to prepare the extract as a functional food supplement. With a current estimate of almost 30 million diabetes patients in the United States, this would be a huge breakthrough in preventing the disease in the future. To learn more about Type 2 diabetes symptoms, and foods for diabetes (including recipes, and top foods to add to your diet), visit www.BetterHealthKare.com today! You can also find additional suggestions such as exercise and lifestyle changes that may help you improve your blood glucose levels.